This session is ideal for any business in health, biosciences, aerospace, IT, high-tech and any innovation sectors. G2G can offer funding insights for non-profits as well, but we need to know who will be in the audience to tailor our presentation appropriately. Feel free to email me in advance and tell me which industry sector(s) your business competes in. There are many funding streams available and G2G is eager to help you navigate the best path for you. Liz Powell, Esq., MPH is Founder and President of G2G. She has over two decades of experience from working on health, defense and economic development policy in Congress and as an attorney and lobbyist. 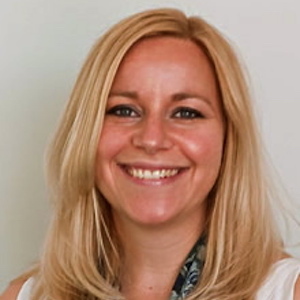 Liz founded G2G in 2007 and manages government relationships and operations in its Washington, D.C. office with regular travel to its Cleveland and Columbus offices. Previously, Liz served as the Legislative Director for Congressman Jim Langevin (serving on the Armed Services Committee) and Congresswoman Juanita Millender-McDonald (serving on the Transportation and Infrastructure Committee and Small Business Committee), campaign staff for both Congressional and presidential races, manager of public affairs and lobbying operations for a national association called NAADAC, president of a women’s organization called WIN, and policy analyst for the UK Parliament on the Health Committee. As the Legislative Director, Liz managed and secured funding requests; developed policy and moved it through the legislative process to enactment; wrote testimony, speeches and legislation; built regional and national coalitions; ran a PAC; led non-profit fundraising drives; and organized media events with agencies, Governors, state legislators, Members of Congress, and the White House. Liz loves government affairs and brings enthusiasm, connections and significant legal, policy and grassroots know-how to all clients. FREE. Includes coffee & snacks.